On each stage you play one or pair of little dragons against enemies. 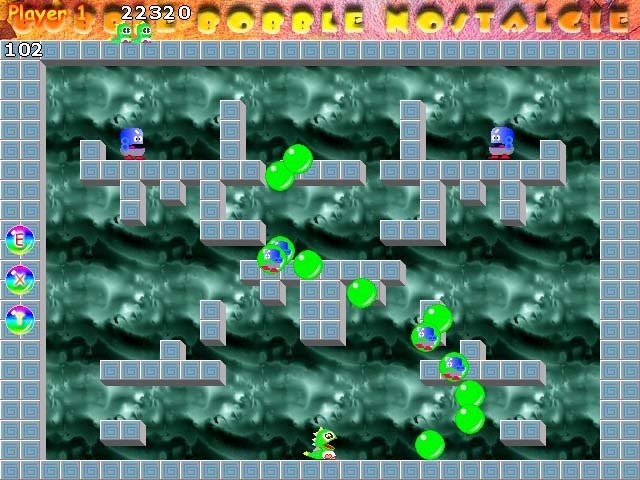 These dragons Bubble Bobble Game can blow bubbles to catch enemies inside! 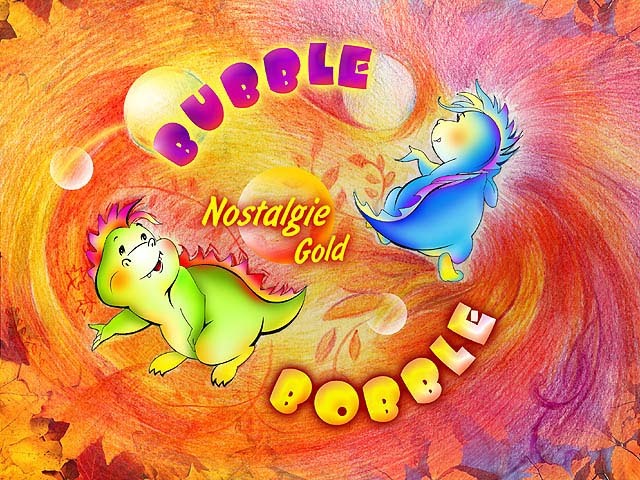 Download Bubble Bobble Nostalgie game now! 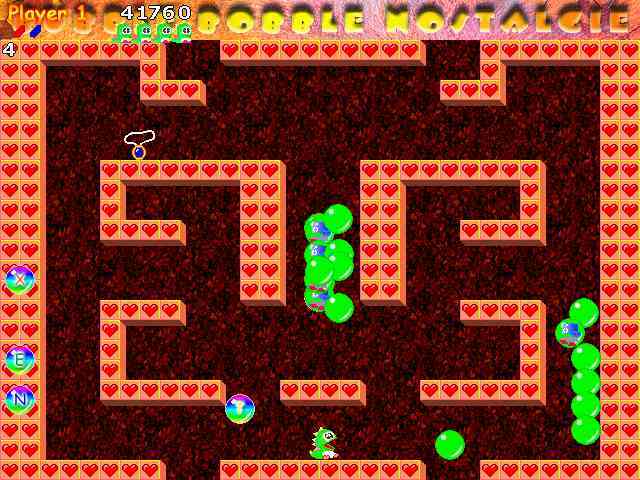 Bubble Bobble Nostalgie Your goal is to defeat the Mad Sorcerer (first episode - stage with 1 on 100)and the Ghost (second episode - stage with 101 on 200). The Mad Sorcerer is located on 100th level. The Ghost is located on 200th level. Various monsters on each level will try to stop you, so your journey will not be so easy.